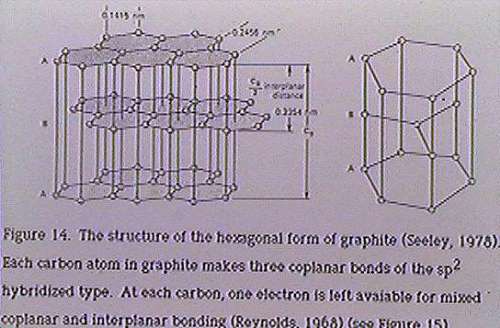 I am going to show you the interatomic lattice of graphite. This diagram shows what the lattice plane looks like. Layers of chickenwire! The lattice spacing is 0.335 nm. This is a good way to calibrate the microscope. Now lets take a look at these lattice planes in the next slide.